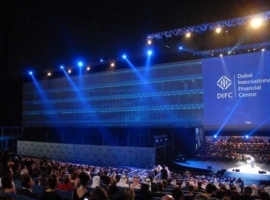 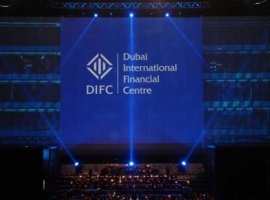 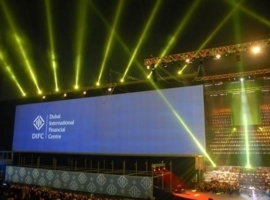 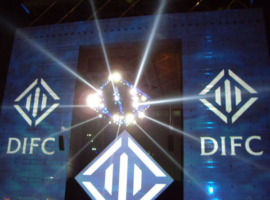 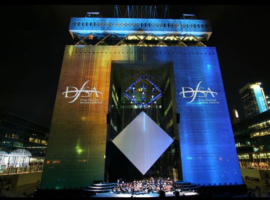 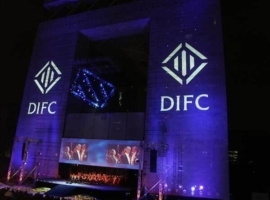 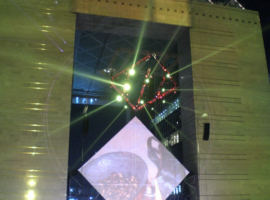 The Dubai International Financial Centre (DIFC) celebrated its third birthday in November 2007 with a lavish evening gala. 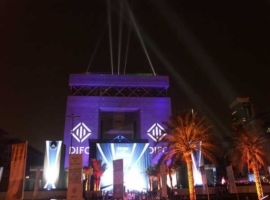 The vibrant financial district of the desert emirate of Dubai treated guests from all over the world to an unforgettable evening’s entertainment that included a firework display, a searchlight extravaganza and a multimedia show as well as live performances by distinguished international and regional stars from the world of classical music. 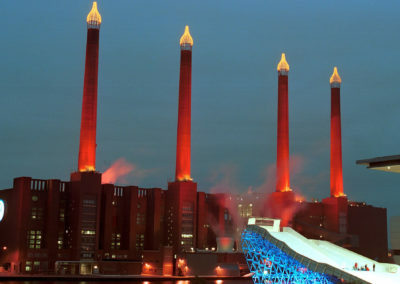 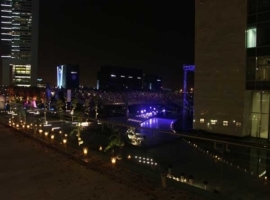 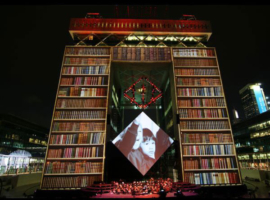 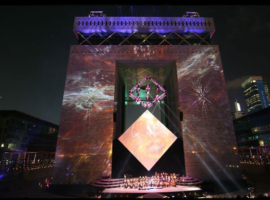 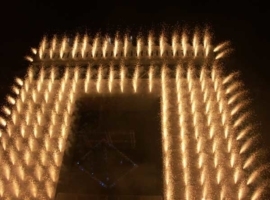 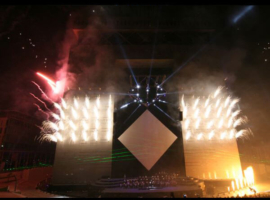 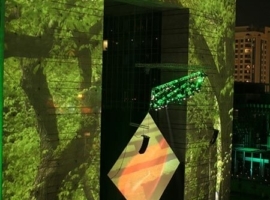 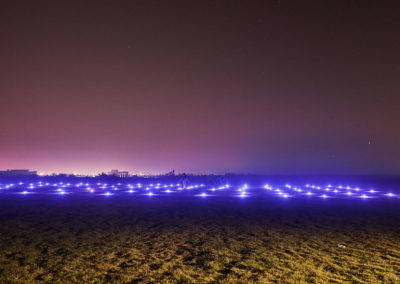 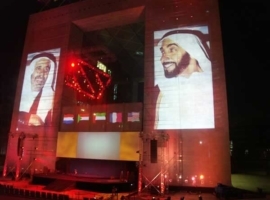 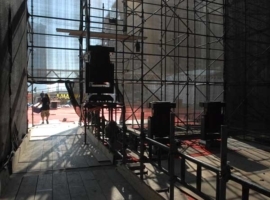 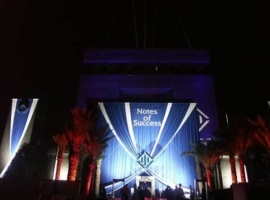 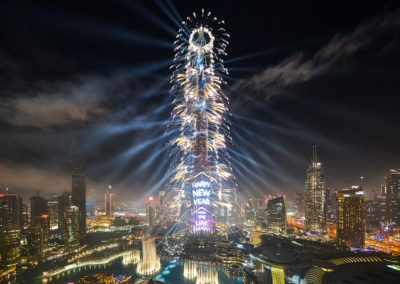 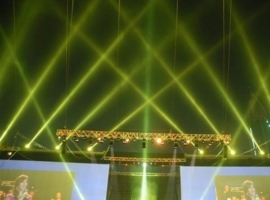 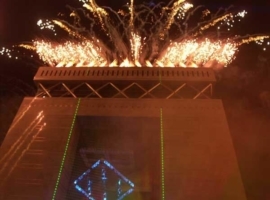 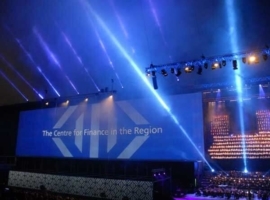 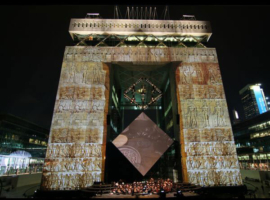 The lighting equipment service provider A&O Technology Middle East was commissioned by N&M München/Dubai and HQ Creative Dubai to provide searchlights and architectural lighting for the event. 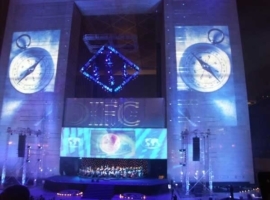 Implementing a lighting design by Nick Jevons, HQ Creative and N&M, A&O Technology deployed its equipment to impressive effect, casting both the setting and the acts, which included the Il Divo quartet and the Lebanese artists Harout Fazlian and Henri Zoghaib with their vernacular renderings of Mozart arias, in a dramatic light. 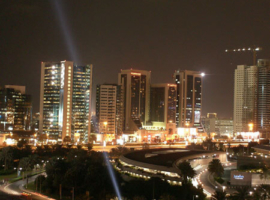 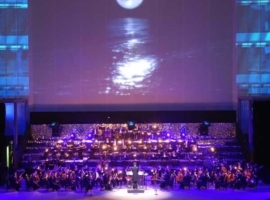 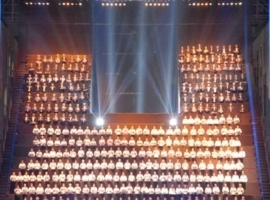 Amal Maher, the Armenian Philharmonic Orchestra, the State Academic Choir of Armenia and the Syrian soprano Talar Dekrmanjian also contributed to the evening’s entertainment, which was retransmitted live on Dubai TV. 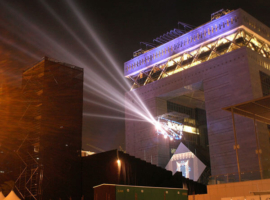 The A&O crew illuminated part of the building complex of the DIFC with 16 SKY FALCON® ARC colour 1,2 kW architectural luminaires, which were used inter alia to light the side buildings, the images of which were then relayed to the main building by the largest video projectors in the UEA. 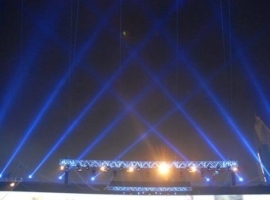 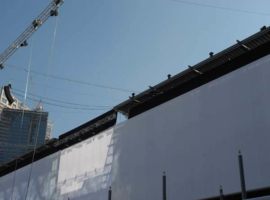 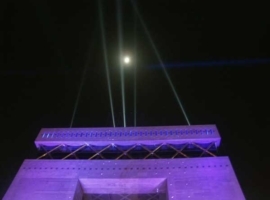 Meanwhile six FALCON® BEAM 3 kW, two FALCON® FLOWER 3 kW and five FALCON® BEAM 7 kW searchlights were positioned on the roofs of the adjacent buildings and above the stage. 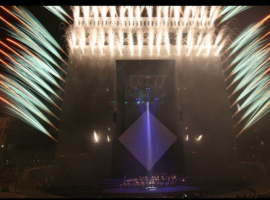 Eleven of the FALCON® BEAM 3kW units were flown from the trussing to illuminate and intensify the impact of the performances on stage. 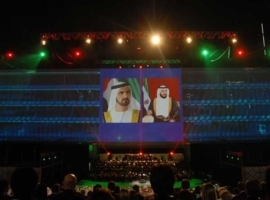 The event was attended by VIPs from all over the world, including His Highness Sheikh Mohammed Bin Rashid Al Maktoum, Vice President and Prime Minister of the UAE and Ruler of Dubai.